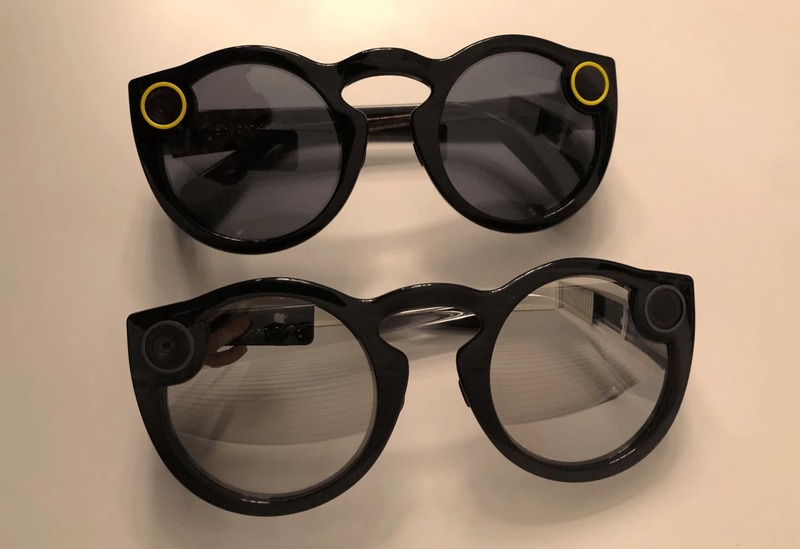 Snapchat Spectacles 2.0 are available for sale online in 17 countries. 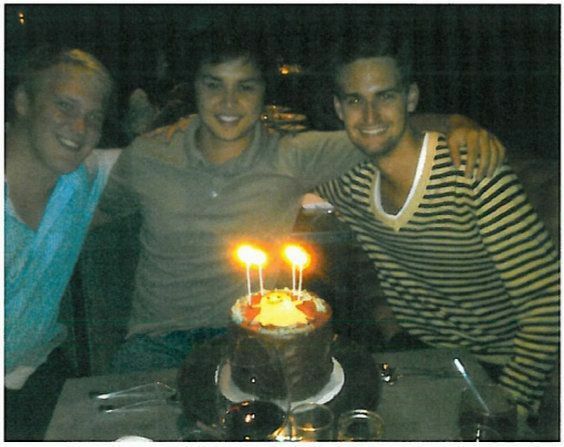 In 2014, Snapchat partnered with Square payments to offer Snapcash, which allows users to send and receive money. All users need to do is link a credit or debit card. The only downside is that both Snapchat accounts need to have a debit card linked to it, unlike other apps, which allow you to keep the money in an in-app “wallet”. Users also must be at least 18 years old to use the feature. 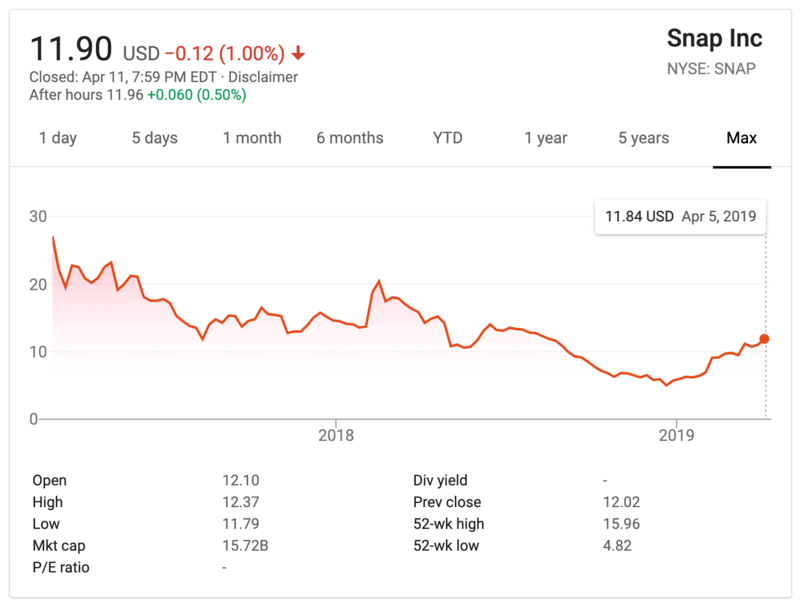 But it seems like Snapcash was yet another failure for Snap. According to Snapchat Support, Snapcash will no longer be available after August 30, 2018. 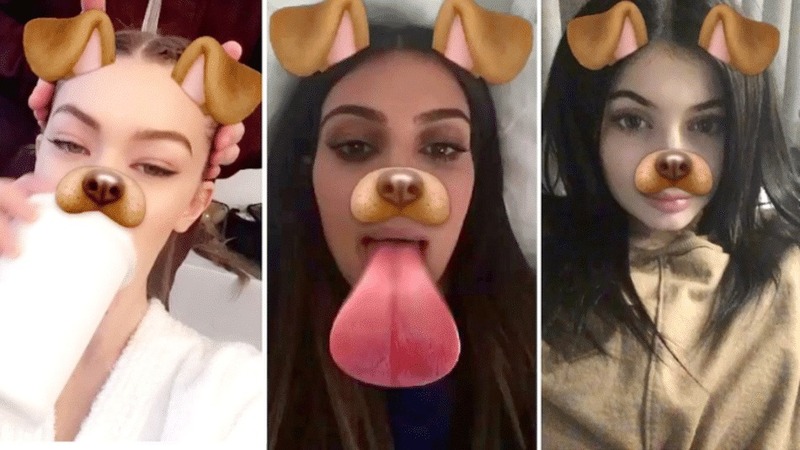 Last year, Snap released a new app update, which did absolutely nothing for its popularity. 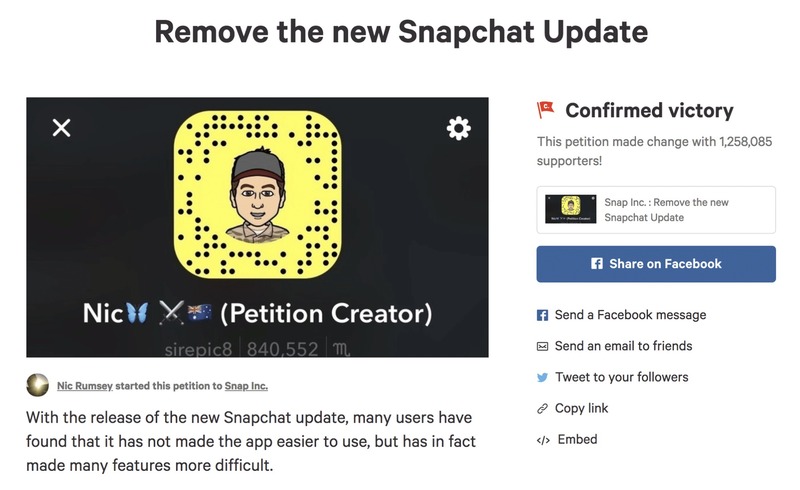 In fact, the changes were so bothersome to Snapchat users that more than a million of them made a petition against them on Change.org. The focus of the redesign involved combining Stories and the Friend page, which ended up making it more difficult for users to rewatch stories or find friends. The company also separated the Discover page to better showcase professionally produced content. 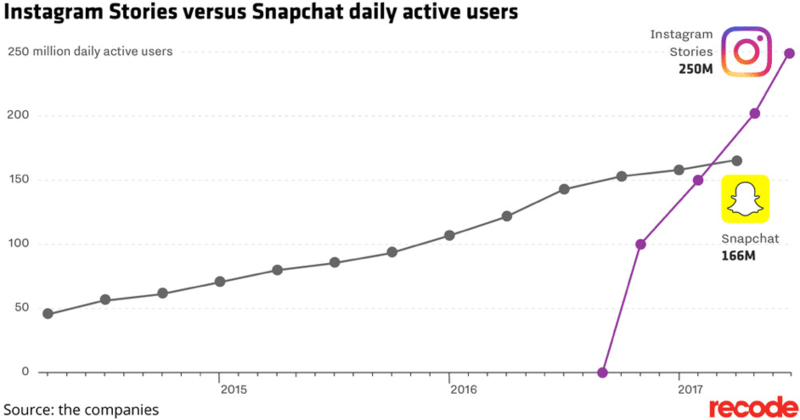 The idea behind the redesign was to improve advertisers’ Snapchat stats, which it did. 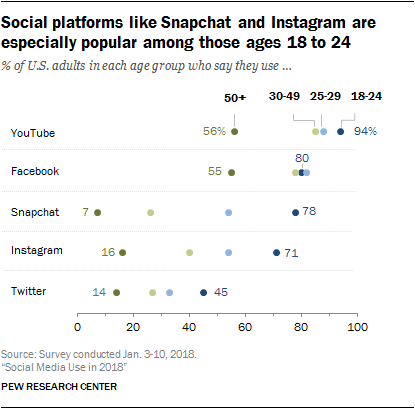 In fact, Snapchat reported that publisher stories grew 40% since the redesign and users over 35 were engaging with the app more. 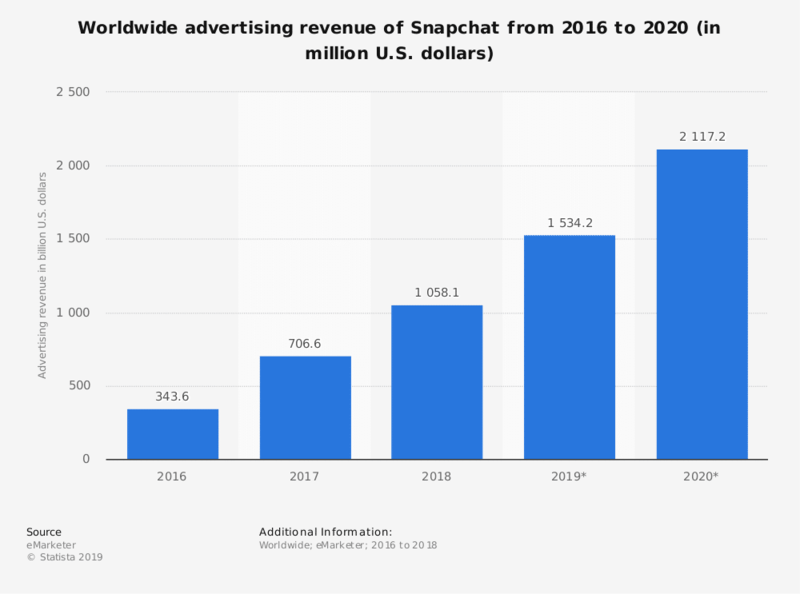 From Snapchat’s rise out of the combined minds and skills of three Stanford graduate students, to billion-dollar offers, Snaptchat statistics and facts provide many insights into the company, its trajectory, and its users. 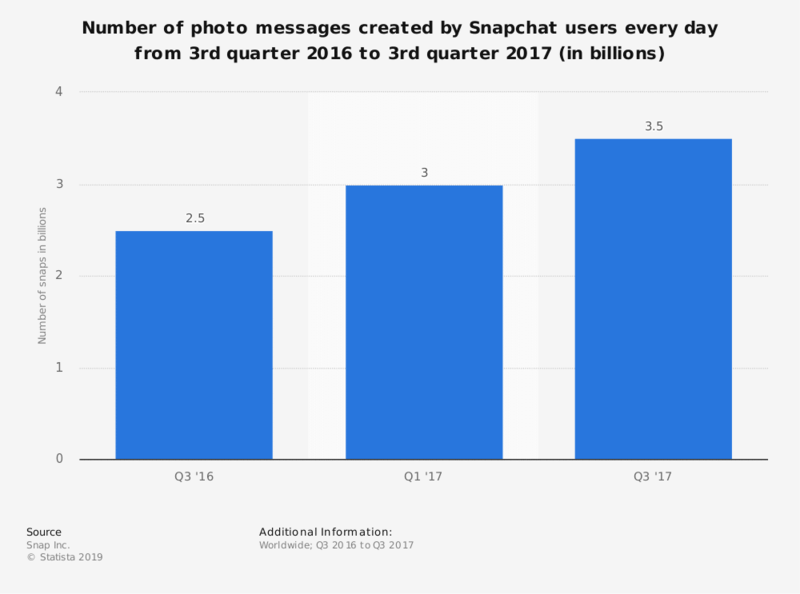 Of course, there are plenty of fun facts that just didn’t make the rest of this list of Snapchat statistics, such as the fact that Snapchat’s mascot “Ghostface Chillah” (named after Ghostface Killah of Wu-Tang Clan) was designed by Brown. Or the fact that the longest Snapchat streak (as of July 2018) is 1,286. Didn’t see your favorite Snapchat statistics? Share them in the comment section below! 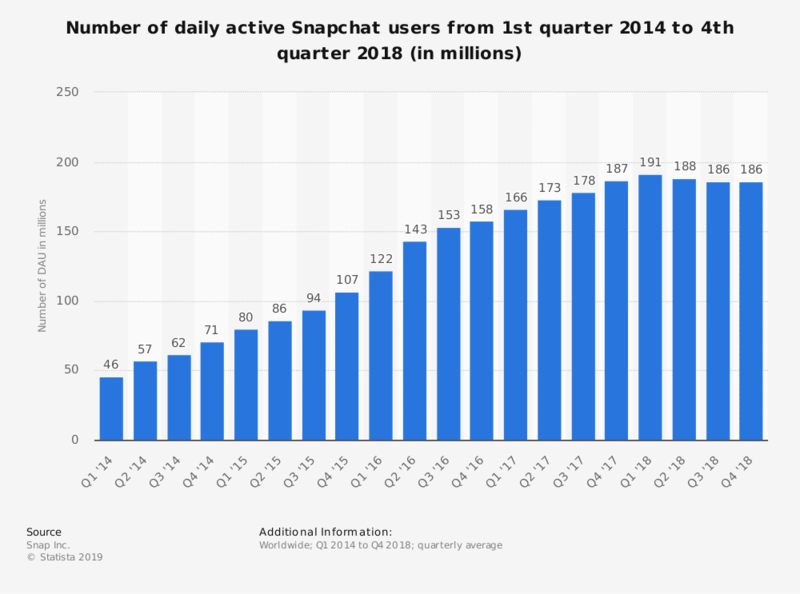 The post Wild and Interesting Snapchat Statistics and Facts (2019) appeared first on Kinsta Managed WordPress Hosting.